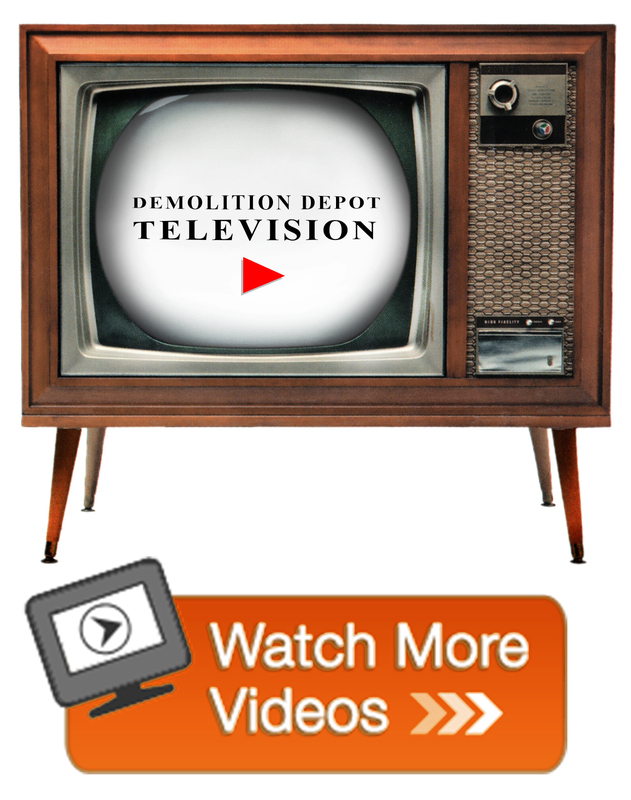 Welcome to the website for The Demolition Depot and Irreplaceable Artifacts. Demolition Depot is a unique source of vintage plumbing fixtures, doors, windows, shutters, railings, gates, grills, mantels, stone and terracotta pieces, religious objects and so much more. Our fixtures are geared towards the re-creation and renovation of period places. Preserving our architectural history has led us to reclaim building elements at an unprecedented scale. We have rescued beautifully crafted pieces certain to enhance the style of all new residential and commercial building, restoration, and decorating projects. The most extensive architectural reclamation showrooms in the world are open to the public by appointment at our 500,000 sq. ft. locations in CT and the Middletown, CT store is open on Saturdays from 11-5, other days by chance or by appointment. If you have any building or demolishing projects coming up, give us a call. Our team of experts will guide you through the buying and selling of every type of artifact.